Business travel is changing. Are you prepared to keep up? Under pressure with a long list of tasks to get through? Mired in too many spreadsheets that are impossible to keep track of? Roomex will help you save time and money in one easy dashboard. Lacking full visibility across travel and expenses? 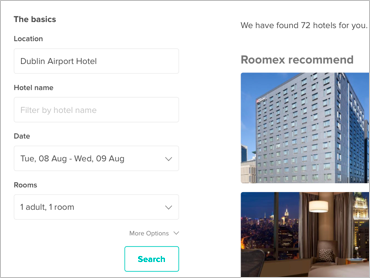 Roomex consolidates all your company’s hotel booking expenses into a single monthly payment and you get a month’s free credit. Simple. Need to book a hotel for your business trip? Roomex has the widest choice of hotels in one place and booking is super easy – so you’ll be ready to go in minutes. 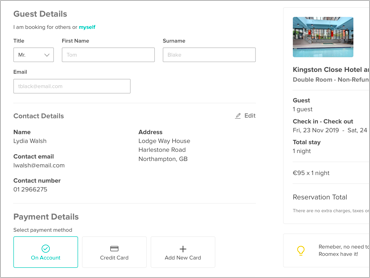 No matter where your workforce needs to be, we make travel easier for you so you can search, book, manage and pay for all your hotel bookings in one place. Dealing with Roomex has been a pleasure. Right from the start, since before going live, they have been extremely professional in both their approach and delivery. Nothing has been too much trouble – they have met with us, listened to our needs and made changes accordingly. I was very impressed with Roomex’s commitment and the turnaround time of the project from start to finish. 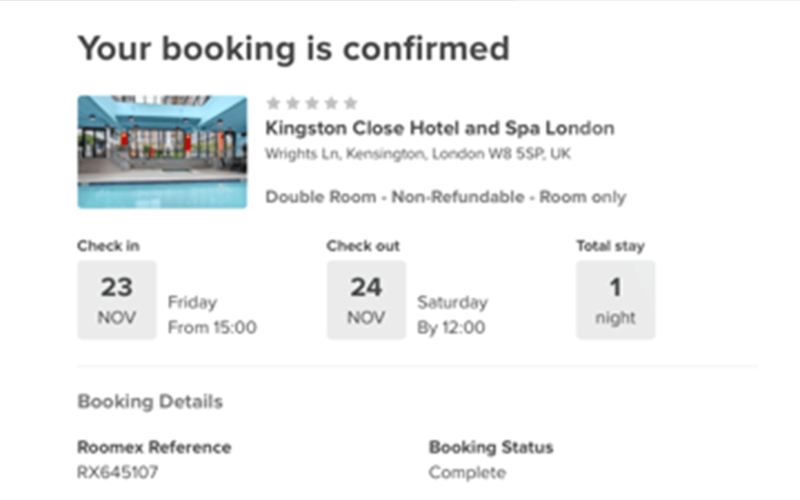 From an operational point of view, Roomex for Business is a seamless online booking tool, personalised for our business, staff and preferences. Roomex go a long way to ensure that we are getting the best rates and by rate comparing every single booking, they are not only measuring the savings we make, but also ensuring that we never pay over the odds. As experts in their field, they have allowed Musgrave to bring our accommodation spend under control and proactively manage it more effectively and efficiently. On top of this, their customer service is simply exceptional. I cannot recommend Roomex highly enough.